We think our system is easier to use than any other rewards system. 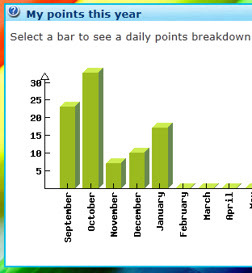 Staff can have the choice of awarding points using a desktop computer, iPad, mobile phone or by giving out a points top-up voucher. The system can also be setup to allow pupils to record their own achievements. Even if the teacher does not award points during the lesson, points can be awarded at any time, from anywhere. We do everything we can to reduce teacher workload. We encourage feedback from staff and can quickly make changes and improvements accordingly. 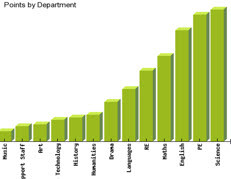 Staff performance can be monitored to ensure consistency. 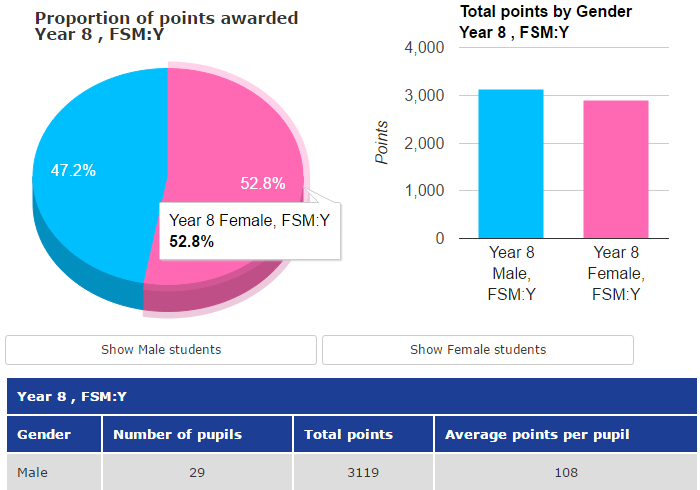 Points awarded by staff in a particular department (see below) can be broken down further to find out if points are being awarded in proportion to the amount of lessons taught by each member of staff.